Are you straining under the weight of all the flowers you’ve received today? Not sure where you’ll put them all when you get home? 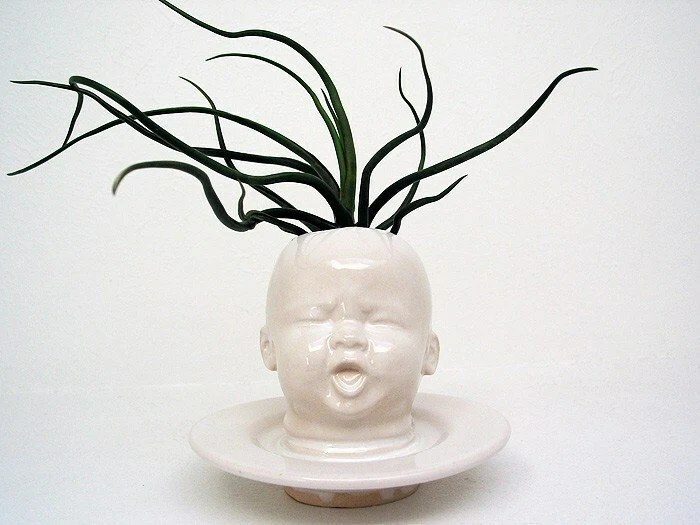 Fear not, here are some vases for your perusal. 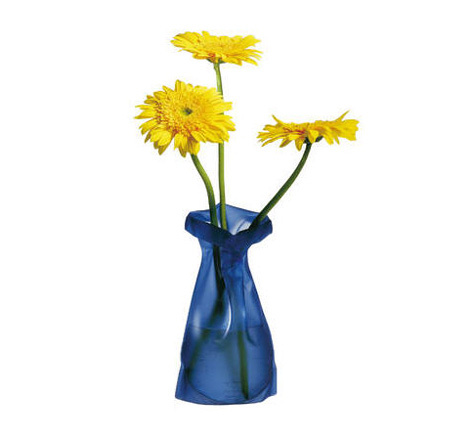 The Le Sack Vase available from Made In Design allows you to create the shape of the vase. Simply put in warm water to soften the PVC and shape the vase, when you’re happy with it put under the cold tap to freeze the shape. Repeat until you get bored. It’s available in quite a few colours and is £9.10. 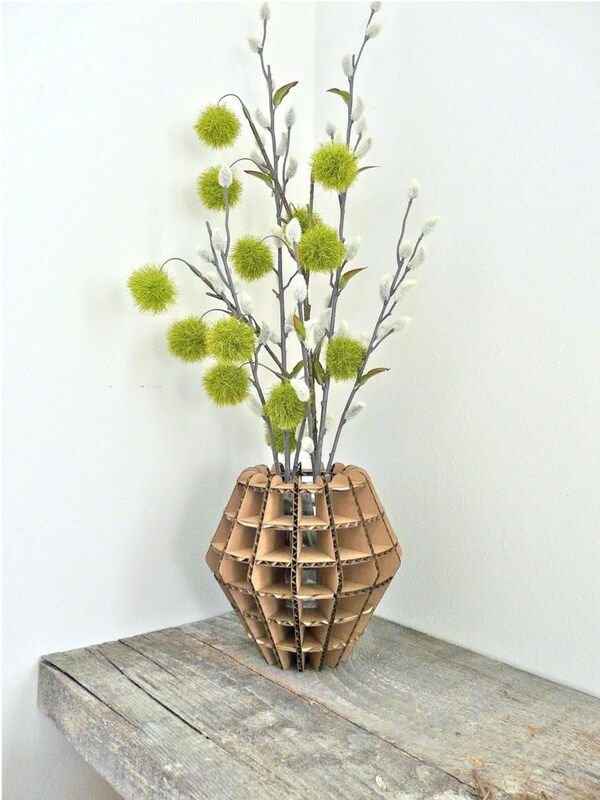 I really like the shape of this cardboard vase, it is has a smaller glass insert so you can use it with real flowers without fear of getting the cardboard soggy. 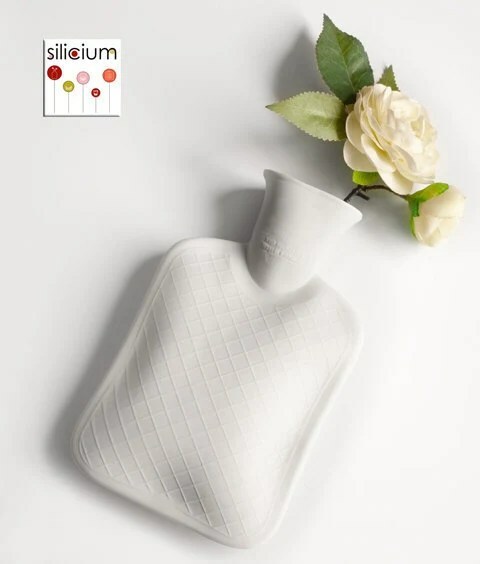 I spent most of yesterday making friends with a hot water bottle so perhaps it’s no surprise that I like this porcelain wall-hung vase by Silicium that is masquerading as a hot water bottle. This goes back to my love of things that aren’t quite what they first appear. 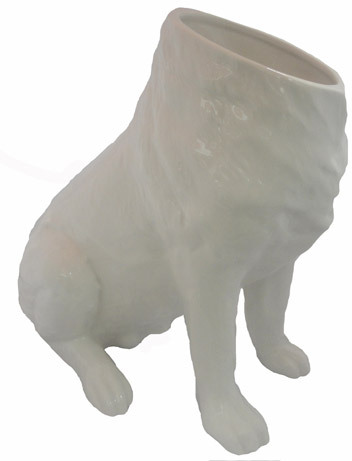 Filled with flowers this Dog Vase would force a smile out of the most hardened Valentine’s Day cynic. From Australian company Raw Space. 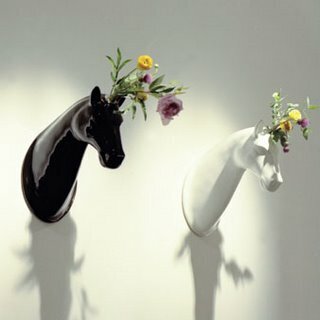 Continuing the animal theme with the crème de la crème of vases, turn these horse head vases by Jaime Hayon into unicorns by adding flowers. Available in black or white for £925 or 24K gold for £1480 from Vessel. If you’re hankering after the unicorns but don’t have a grand to spend, there’s a similar (but not as stunning) unicorn vase from Raw Space that’s a bit more affordable. What do you think? Nice or nasty?